West Central Initiative welcomes Rick Schara as its new marketing coordinator. 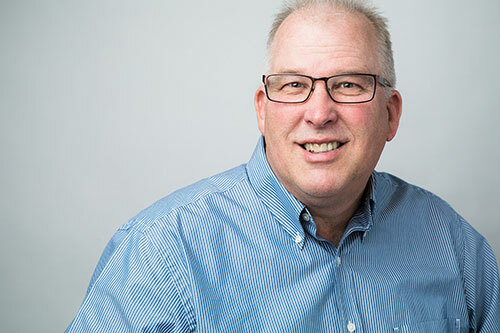 He will work primarily on WCI’s Live Wide Open regional marketing campaign, helping businesses, communities, counties and organizations promote reasons for people to live and work in west central Minnesota. Schara previously worked for the Minnesota Department of Employment and Economic Development (DEED) as a business services representative. Prior to DEED, he was executive director of the 544 Foundation, a nonprofit dedicated to helping support the mission of the Fergus Falls Area School District. He has a master's degree in business communications from the University of St. Thomas and a bachelor’s in journalism from Iowa State University. “I love how this position brings together my skills in workforce development and communications to help bring talented employees and new families to our region. They are instrumental in making sure our businesses and communities thrive,” Schara said. Schara and his wife, Kathleen, make their home in Fergus Falls. They have two daughters. Schara has served on numerous boards including Forward Fergus Falls, 544 Foundation, Labor Force Development Council, Otter Risers Kiwanis and Friends of the Library. He is also well known as a local performer. He was the catalyst behind the creation of a highly successful melodrama dinner theater held each summer in Otter Tail County lakes country. “We couldn’t ask for a better person to lead our Live Wide Open efforts. Rick’s experience and his warm, enthusiastic personality are a great addition to West Central Initiative,” said Anna Wasescha, WCI president. Rick is available to talk to your service or community organization about Live Wide Open. He also loves meeting people and learning their stories about why they chose to live and work in west central Minnesota. He'd love to meet YOU! Give him a call at 800-735-2239, or rick@wcif.org.